My masks are your noble self revealed, that secret, wise and powerful self that resides at your core. Put one on and feel awesome! 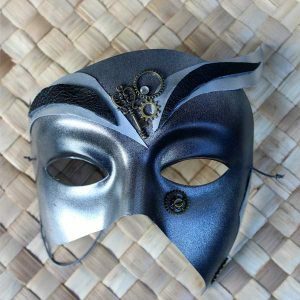 My decorative wall masks and masquerade masks for men and women are unique handcrafted mask designs. Into fantasy? You'll find plenty of it here. 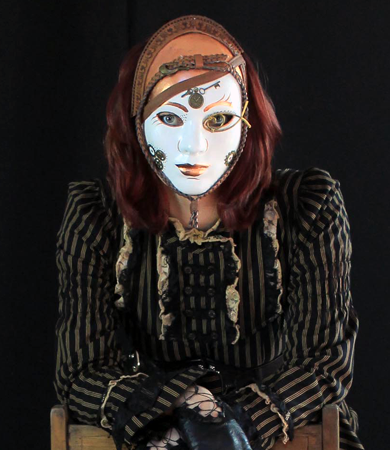 I'm inspired by steampunk, and the Gothic, art deco and renaissance eras. 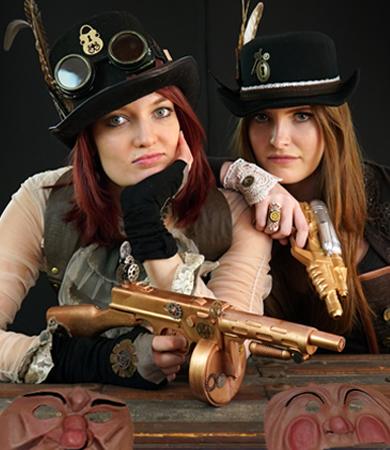 You'll also find a variety of unique steampunk hats and accessories, and if you don't find what you're looking for here, you'll find more products in my Etsy store. 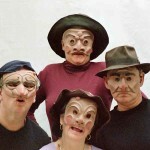 I also sell COMMEDIA DEL ARTE and NEUTRAL MASK SETS for school use. 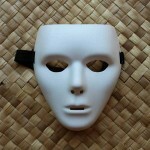 Each mask is individually handcrafted and unique, but if you'd like something similar in different colours, contact me. I'm happy to make something just for you. I'm also an editor and an author. I write magical realism and fantasy with a touch of romance and metaphysics. Enter your email address to receive notifications of sales and new products by email.